Toi Ora Live Art Trust in Auckland will celebrate the Mental Health Awareness Week from 10 to 16 October with a range of activities, including the launch of a book by artist and writer Anita Mary and a solo exhibition by artist Andrew Blythe. Activities kick off tonight at Toi Ora (6 Putiki Street, Arch Hill) with the opening of Andrew Blythe’s solo exhibition Portraits. Presented by Toi Ora in association with Tim Melville Gallery, the exhibition will continue until 4 November. 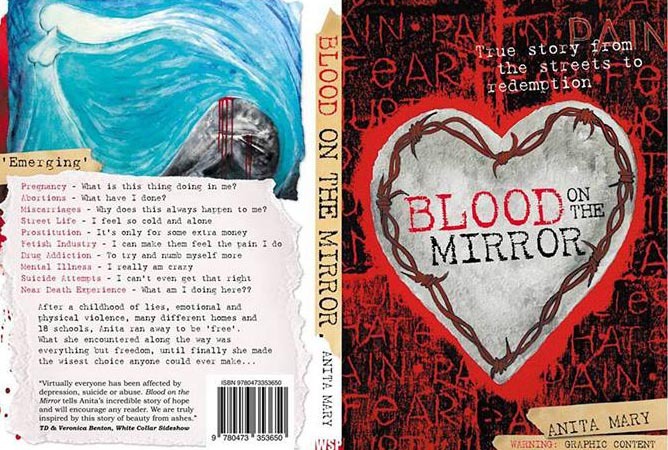 On Friday 14 October, Toi Ora will host the launch of Anita Mary's first book, Blood On The Mirror. Anita Mary is an artist and Toi Ora trustee. Her book is about her troubled past, and how she found her place through the arts and her faith in God. “The arts have helped me to see myself as a person and find a deep part of me that I couldn’t see before,” Anita Mary explains. Anita Mary wants to share her story so “other people can see how valuable they are, no matter what”. The launch will include an exhibition of Anita Mary’s artwork. On Monday 10 October, the celebration of Mental Health Awareness Day will continue with a night of music, food and entertainment, to be held at Ponsonby Baptist Church, 43 Jervois Road, Herne Bay from 6pm. “October Gig 2016” will include performances by I'aeva Isara, the Toi Ora Band and Choir, Kitty Taylor, Emere McDonald and Tim Birch, Johnny Matteson's Band, and more. On Tuesday 11 October, two workshops are scheduled: printmaking with Mira Glisic-Milojev, and creative writing with Rata Gordon. A group exhibition called Creative Life, developed in partnership with the WALSH Trust, Toi Ora Live Art Trust and Corban Estate Arts Centre, opens on Wednesday 12 October in Old St Michaels Church, Corban Estate Arts Centre, and runs until 16 October. Artists Lance Glozier, Robert Hamp, Anita Mary, Selwyn Vercoe and Victoria White share their stories of resilience and strength through the mediums of sculpture, painting, mixed media, printmaking and music. There's an artists' floor talk at 2pm on 16 October. Toi Ora Live Art Trust has been providing studio space, tuition and a supportive community for people who have experienced mental illness since 1995. More information about times, venues and a schedule of activities can be found at the Toi Ora website. Original generation time 1.5807 seconds. Cache Loaded in: 0.0152 seconds.